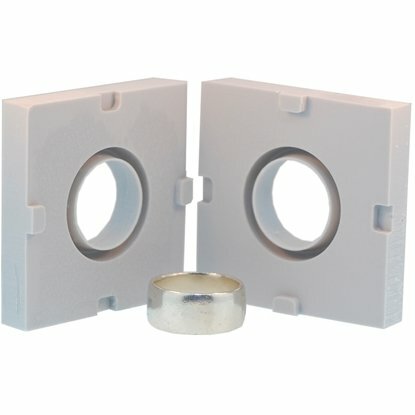 Designed specifically for use with PMC3™ and PMC+™, this ceramic Shrinkage Stopper helps control shrinkage of rings during firing; rings will be approximately size 10 to 10-1/4(US). After firing, each ring is round, smooth and ready to finish. 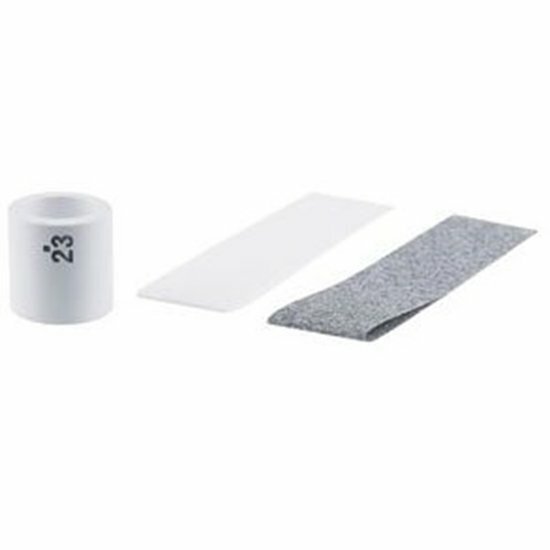 Each Stopper includes one 150mm-long white ceramic tape strip that prevents the clay from sticking to the Stopper and one 150mm-long black alumina tape strip that smooths the inside of your ring as it fires. 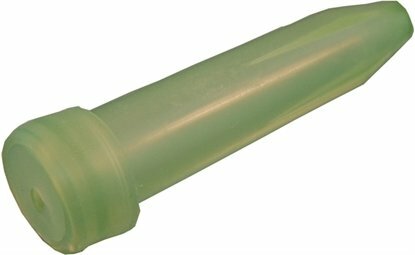 The ceramic Stopper is re-usable, and the strips are long enough for firing approximately two rings; replacement strips are available. Trim each strip to the exact length of the Stopper's outside diameter. 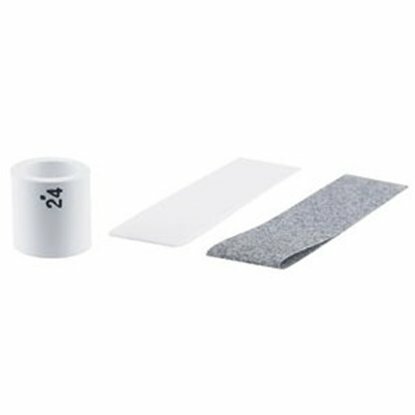 Wrap the ceramic tape around the Stopper, followed by the alumina tape. Place it inside your ring before firing. 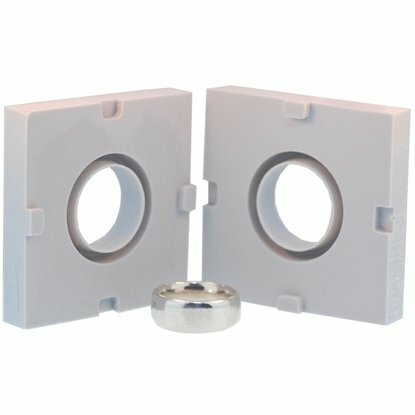 Your ring will form around the Stopper.